Summer is finally here. The long-awaited "Snow White and the Huntsman" hits theaters this weekend. Just as exciting, June and its sunshine ushers in wedding season. What better time to delve into Disney-themed wedding cakes? Whether you're a cynic or a romantic, you have to admit these look pretty darn tasty. Check out our very special Pinterest board of cakes featuring Disney wedding themes. 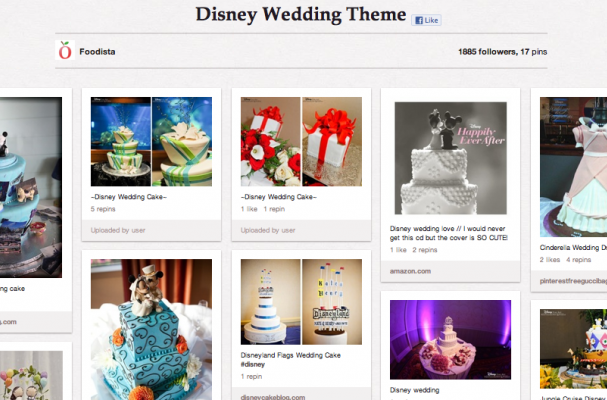 Do you have a Disney or wedding cake-themed Pinterest board? If so, comment on one of our pins with the link so we can check it out!